Over 2 million blog posts are published every day, vying for the attention of readers in the hopes of converting words into leads, sales, advertising clicks, etc. If you’re reading this, it’s likely you’ve entered the blogging world to gain visibility in front of your target audience and build a content hub. But with readers inundated with such excessive amounts of information, it’s hard to stand out and engage with them. If you’re seeing a high bounce rate (explained by Hubspot in this concise, 100-word post), no social shares and low readership, it may be time to re-examine your writing. Below are 7 common blogging mistakes that may be scaring your readers away. A major blogging faux pas, this is just downright annoying. If you had landed on this page and it was actually about seven blogs with spelling mistakes, you’d most likely leave. It wouldn’t be the advice you’d come for, and you wouldn’t waste your time reading content unrelated to your search. Attention grabbing titles should always follow quality content. No matter how enticing the headline, if the content doesn’t equally engage, people will leave. To combat this, write working titles instead of set-in-stone ones, or simply don’t write one until the piece is finished. This gives you breathing room and allows you to tailor your title to your blog post, a win-win all around. If you’ve made it this far, that means we’ve done a successful job of keeping you interested. This is not a stroke of fate, but a planned style, format and tone that you can implement on your blog. Readers skim. That’s reality in today’s mobile, on-the-go world. So your writing should reflect that impatience by breaking up text with headers and avoiding paragraphs longer than three to four (short) sentences. Likewise, your posts should hover around 800 to 1000 words. Leave those 2,000-word guides for rare occasions, because while they can bring in dedicated visitors and rank well in Google, the majority of readers only spend 15 seconds on your blog. Readers can see through this, and it causes your blog posts to become flowery and unfocused. The biggest pitfall comes when writers try to copy someone else’s writing style. Even though Moz or Hubspot may garner a lot of traffic, it doesn’t mean forcing your writing to sound like theirs will work for your target market. Following this guideline is especially difficult when you write for an agency or as a freelance blogger, because your topics tend to be assigned and not always of interest to you personally. Do your keyword research and find the angle that keeps you intrigued. 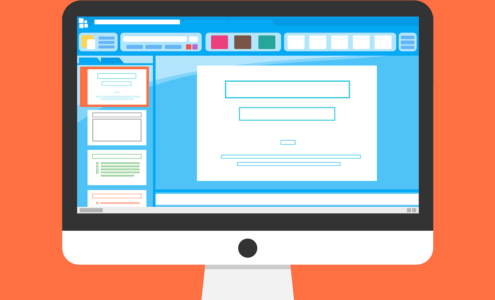 While blogs may follow the typical university term paper outline of intro, body, conclusion, the comparison ends there. Dry, scholarly writing full of industry lingo and impressively large words have no place in the world of blogging. And proper sentence structure is a loosely followed principle (as just demonstrated by starting this sentence with ‘And’). You’re not being graded by anyone but search engines such as Google. And Google likes readability – just like your readers. The best bloggers write like they talk. They create posts that sound as if they’re talking directly to their readers, and keep the flow and voice natural and compelling. No one cares about you. There, we said it. When visitors find your blog, they don’t want to hear about your experience using Moz Keyword Explorer. At least not solely. Instead, they want to know how your experience with Moz Keyword Explorer can: a) benefit them when they use the tool, b) keep them from making a mistake, or c) relate to their business. Stop writing stories and start turning them into actionable posts. 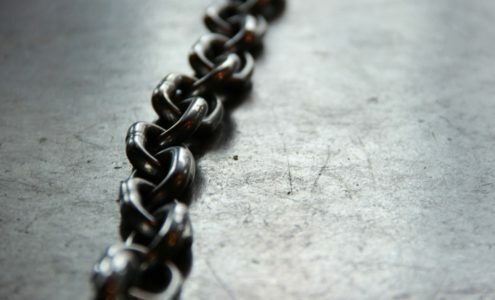 Having too many links is considered spammy, whereas too few links lead to a high bounce rate and lower authority. For instance, in a 1000-word blog (like this one), adding two links to every paragraph would make the whole post look like a colourful, underlined mess. Adding only two overall gives readers few places to go to check my sources or read further, so they leave. Important note: anchor text – the words that hold the hyperlink – must be relevant. If a company links to their social media services every time a blog post said ‘Facebook’, not only is bad anchor text like that annoying and misleading, Google hates it. In the mad rush to get as much content published as fast as possible under the guise that ‘content is king’, bloggers skip the most important step: editing. While typos may slide when you’re president of the United States, grammatical errors slow your readers down and make your work look sloppy and unprofessional. After two mistakes, people stop reading and look for a more reliable source. And you should never link to an article with errors – it reflects poorly on your own post and minimises the hard work put in to gain readers’ trust. Build steps into your writing process that include a first, second, third, and even fourth edit. Take a break from the article, come back to it and make changes. Use software such as Grammarly or just your basic Microsoft Word spellcheck to locate errors and correct them. At the end of the day, blogging is about authenticity and quality. Keep your target audience in mind and write posts to meet their needs and answer their questions. If you simply don’t have enough time to pump out excellent content, consider outsourcing to a content marketing or copywriting agency. Not only will your audience begin to appreciate your content (and in turn your brand), Google will award you some brownie points as well. It’s a win-win.